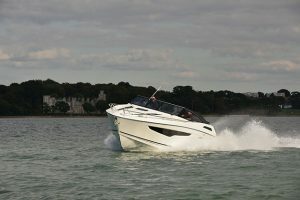 The Sealine C430 arrives in the range as the F380 departs, marking a seminal moment in the company’s history. 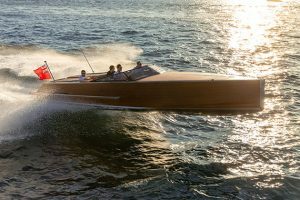 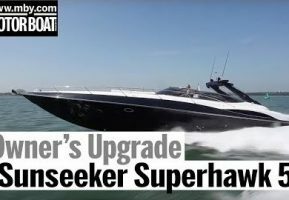 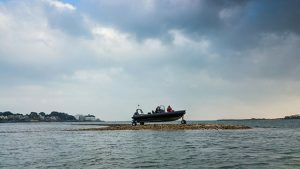 The ghost of Kidderminster has finally been laid to rest – the F380 was the last boat designed in the UK, and the C430 completes a current range that are all designed by Bill Dixon and developed and built by German parent company Hanse. 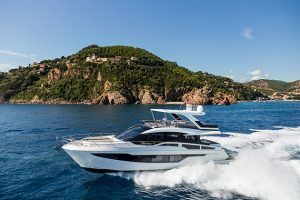 But don’t expect a ceremonial tearing up of the rule book because the C430 plays true to the core Sealine values of space and innovation; as 43-footers go, it is huge! 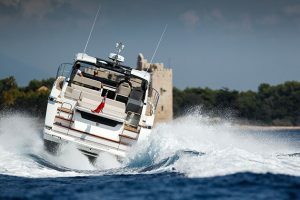 High and wide, it’s currently only available in coupé form with an enclosed deck saloon (a flybridge version is under development). 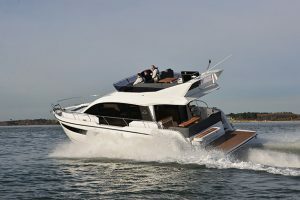 Bang on trend, the galley is aft, the windows deep, the television retractable and the master cabin full beam and central. 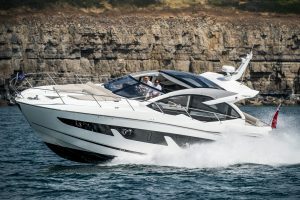 In fact, calling the mid cabin the master is a little presumptuous, since the fore cabin is equally worthy, particularly as it has a private ensuite rather than just day heads access. 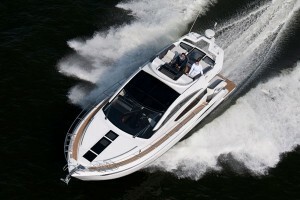 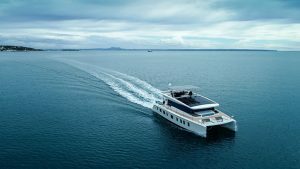 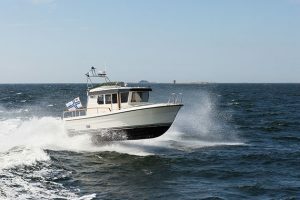 The mid cabin is available with wide scissor berths or a permanent centreline double. 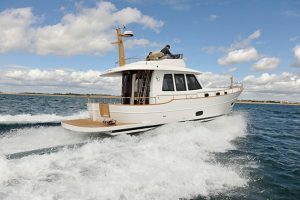 It also has two doors into it, one each side of the companionway. 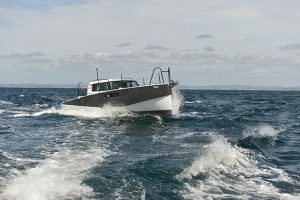 This avoids having to duck to get round the foot of the bed and hints that a three-cabin version of the boat is in the offing. 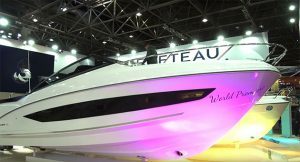 So what of the famous Sealine innovation? 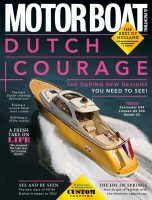 Well, there’s nothing groundbreaking (beyond the sheer size), but there are some neat details. 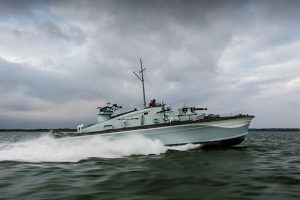 Read the full report in the November 2017 issue of MBY.